It’s been a while since the teaser trailer and a single image was released for the upcoming film about Alan Turing, The Imitation Game. Now we have been sent over the new poster for the film. 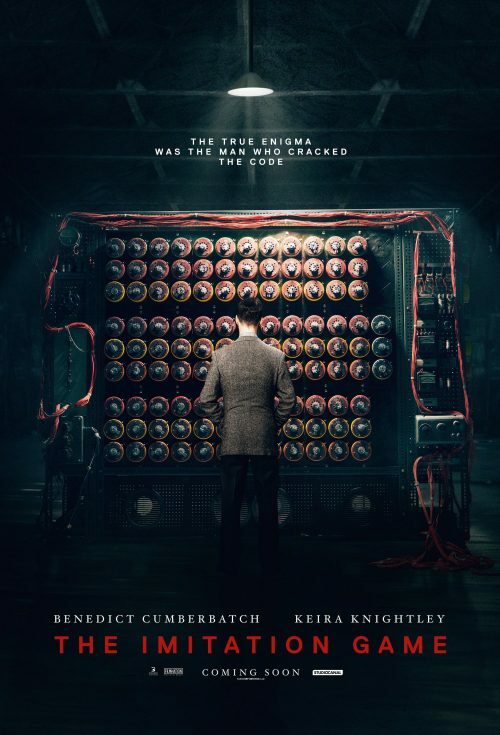 The poster shows Benedict Cumberbatch as Alan Turing looking at one of the most important innovations of the war. The Bombe. Not only that, I have discovered a set of images from the film as well. Just scroll through the below galelry and enjoy. Breaking the code and getting into UK cinemas November 14, 2014.